Campaigns Start @ $45 plus budget. New account quality for a $100 ad budget bonus. Hour Adword hourly rate is also $45 per. 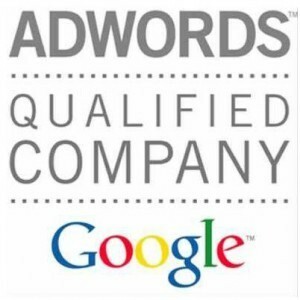 Google Adwords offer a few different models for customers who use them to advertise on the web. A PPC or Pay-Per-Click model, a CPM or Cost-Per-Thousand model, and short site-targeted advertisements. The customer chooses how much to spend per campaign which affects type and frequency of the ad appearing. To build an effective Pay-Per-Click campaign you must start with a broad range of keywords and over time, narrow them down to identify the most powerful ones. Remember, because you pay Google every time a user clicks on your Advertisement, it is crucial that you eliminate keywords that do not generate quality traffic. Specific geographic targeting is another way to focus your PPC Campaign, as people are searching locally now more than ever. It is essential that both your Keywords and Advertisements target local search. There are dozens more steps to follow when building a Google Adwords Campaign which can be time consuming, even for the most organized business owner. Let SearchKings build and manage an intelligent Pay-Per Click campaign, so that you can focus on handling all your new business. Search Engine Optimization Consulting is the term used to describe the marketing technique of preparing a website to enhance its chances of being ranked in the top results of a search engine once a relevant search is undertaken. A number of factors are important when optimizing a website, including the content and structure of the website copy and page layout, the HTML meta-tags and the submission process. Higher search engine positions result in increased website visibility and traffic while lowering the cost of customer acquisition. THIS IS THE CORE SEO SERVICE. One Year of our Search Engine Submissions Service. This includes 52 weekly submissions and 12 ranking reports done every 30 days. All our SEO work is charged by the hour. Monitor, track, and report on paid search metrics, including trend analysis. Interact with copywriter and web service manager to optimize copy and landing pages for Search Engine Marketing.